When I was nine or ten years old, my mother introduced me to the Sue Barton books that she remembered from her childhood. 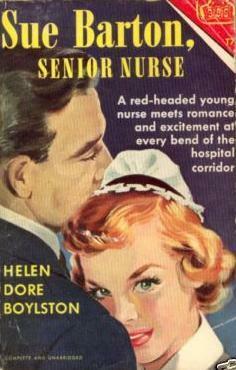 The books are a midcentury pulp series that follow the education and career of Sue Barton, the world’s most competent and most good-humored nurse (and a redhead!). I devoured all the books—multiple times—and have been remembering one in particular lately, part of which details Sue’s graduation from nursing school. The graduation chapter explains that Sue and the other nursing students have reached graduation, but many of them still have clinical work to make up in the hospital, due to time missed for illness or vacation. The school permits everyone to attend the ceremony, though, and for one night, the new nurses get to change the bands on their caps to the one signifying the status of graduate nurse. The next morning, however, they go back to being student nurses, with the corresponding cap bands, and will remain that way until they’ve completed all their required work hours in the hospital. 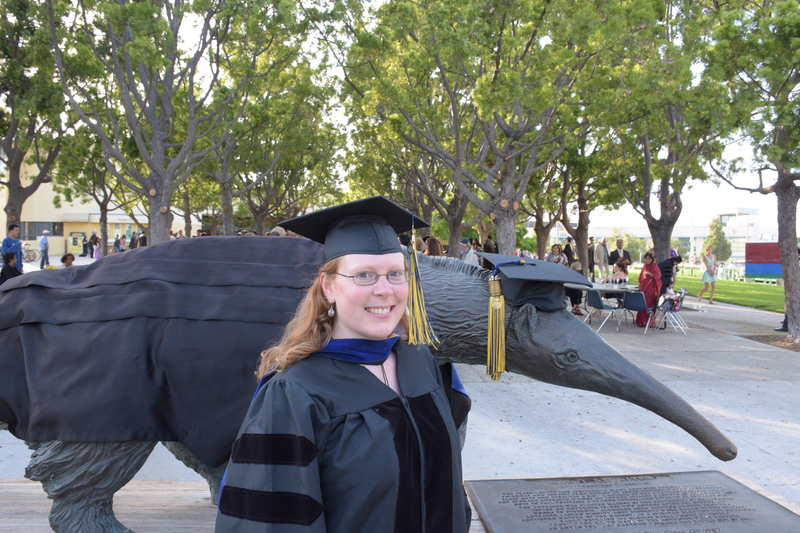 I’ve been remembering Sue Barton and her nurse’s cap because I flew to California last week to take part in UC Irvine’s graduation ceremony on Saturday, even though I haven’t finished and filed my dissertation yet. UCI permits students who will be completing their PhDs over the summer term to walk in the spring graduation, and I decided at the beginning of the winter that I really wanted to graduate this year. So I signed up for the commencement ceremony, bought plane tickets, and told my family so they could make their own travel arrangements. There have been times over the past few months when I’ve worried that I had acted prematurely. Writing the most recent chapter that I turned in took forever—for some reason, I just couldn’t get any traction, and wound up mired in the worst case of writer’s block I’ve ever had. I finally managed to put together something of an ending and send it to my advisor, but I got scared that I had been overly optimistic thinking that I could finish everything up by the end of the summer. Luckily, the current chapter that I’m working on is flowing much more smoothly, and I think I can finish it this week. Of course, this whole “I’m graduating but I’m not really done” thing has been a little confusing to explain to everyone, and several people have asked why I would go to commencement before I really finished. My only answer is: motivation. Knowing that I’ve now committed to turning in my dissertation by September 10 is the push I need to stay on track and write some more every day. Otherwise, it would be too easy to put things off—to say that I just want to do a little more research, or that I really want to write a few book reviews, or go on vacation … and then before you knew it, it would be next May and I’d be scrambling to finish before the filing deadline. So I needed this—the knowledge that my parents, brother, and I all had non-refundable plane tickets to California and that none of us would be happy if I changed my mind and decided I couldn’t finish this year after all. I’ve turned down a few really attractive work invitations and held myself back from pitching stories to write, and I got enough done that my advisor is satisfied that I’ll be able to get the rest to him in the next two months. Also, it was great to graduate this year because UCI History had a huge number of students finish at once—the unconfirmed number I heard is that 13 of us will be receiving a PhD in 2014. I got to walk in commencement with several of my classmates and friends from the entering cohort ahead of mine, which was really special. My advisor couldn’t be there, so I asked Laura Mitchell, who teaches world history and has been a wonderful mentor to me, to hood me (translation: put the fancy academic hood over my head). I couldn’t have asked for a better commencement ceremony. But, like Sue Barton, I’m not there yet. 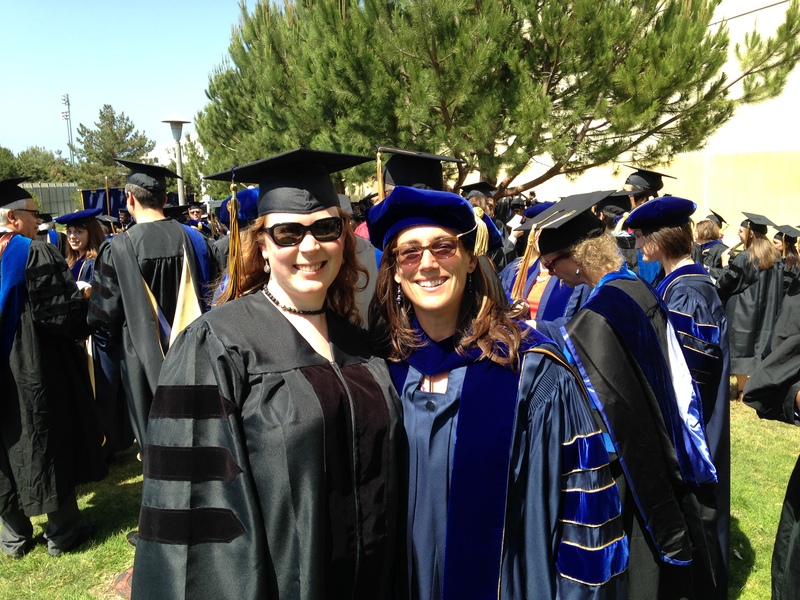 I got to wear the fancy academic regalia for an afternoon and have people joke about calling me “Dr. Cunningham,” but now it’s back to normal. So I got up Sunday morning and wrote a couple of pages. I got up Monday morning and wrote a page. I got up this morning and edited everything I’d just written. With luck, I’ll get up tomorrow morning and write some more. And three months from now, it will all be finished and the whole “Dr. Cunningham” thing won’t be a joke anymore. The only good dissertation is a done dissertation. Write, write, write! Kick your heels three times and say “I can do this, I will do this”……..